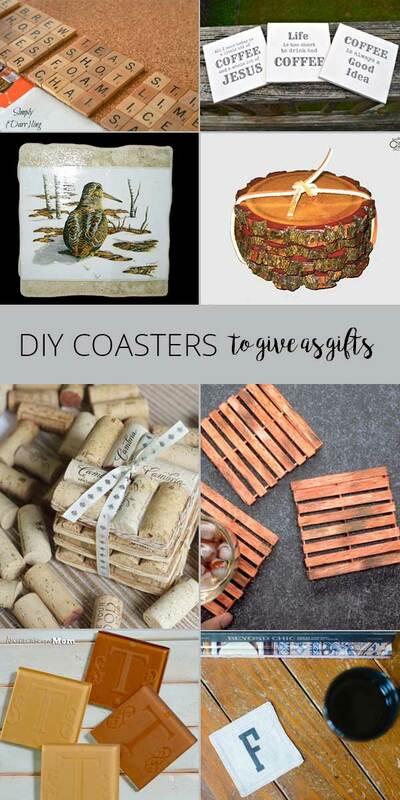 DIY coasters are a fun and easy craft project that can be made from a myriad of different materials. You can get extremely creative with all of the options out there. Since craft coasters also make great gift items, it’s a perfect project to do over and over. 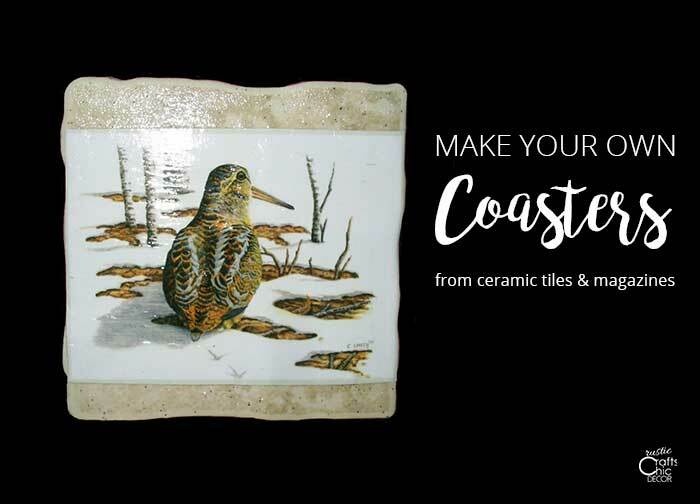 With all of these coaster ideas, there are a variety of styles to choose from for your intended recipient. 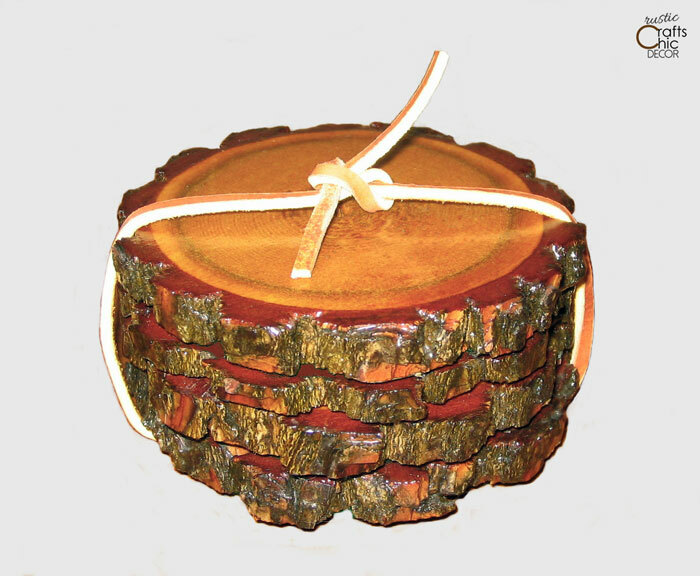 If you have a chop saw, pine log coasters are super easy to make. Just cut your slices and finish them off with a glossy polyurethane. This makes the coasters resist water and easy to clean. I also apply a circle of felt to the bottom of these coaster to help protect furniture surfaces from any potential scratching. Ceramic tiles are already the perfect size and material for using as a coaster. To give them a little more style, it’s easy to decoupage images to them. I had a lot of fun making these bird coasters out of leftover tiles and magazine pictures. Each one has a different bird picture and the set is perfect for up at our cabin where we do a lot of bird watching. You can also use wallpaper, maps, photos, song sheets or newspaper. Pretty much any decorative paper that you can think of will work for this craft. 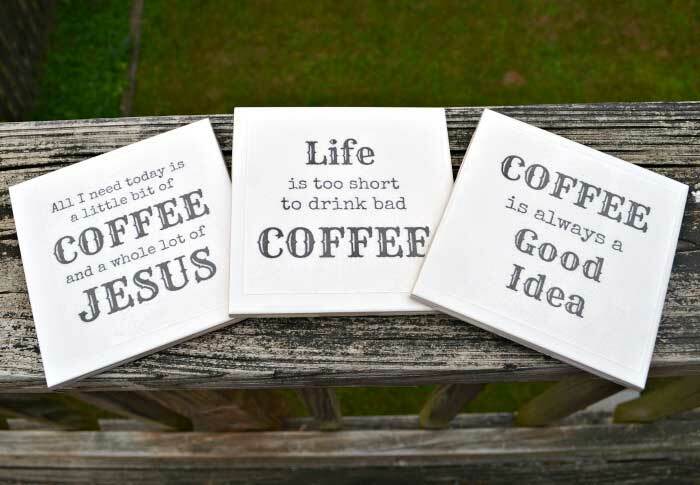 If you prefer quotes over images, you can also use tile coasters to display words. These quotes were made using a Silhouette and clear sticker paper. This would be a great gift for the coffee lover in your life. You could also stencil or hand write words with paint. Just protect the painted surface with polyurethane. 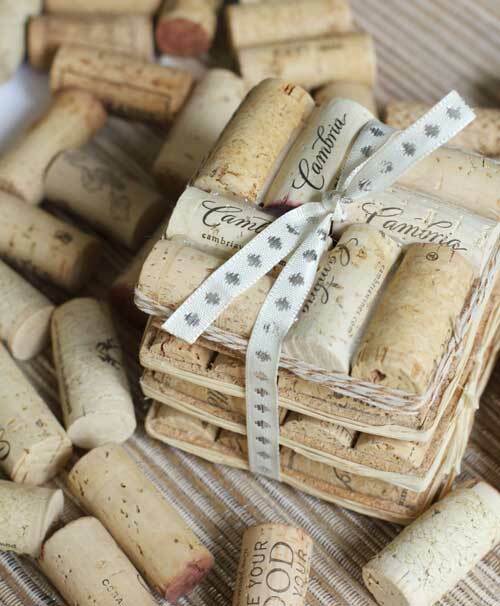 If you go through a lot of wine, you might want to start saving the wine corks for some crafty coasters. I’ve done a few wine cork crafts and this one would be great one to add to the list. For another look, cut the coasters in thirds and place them standing up instead. 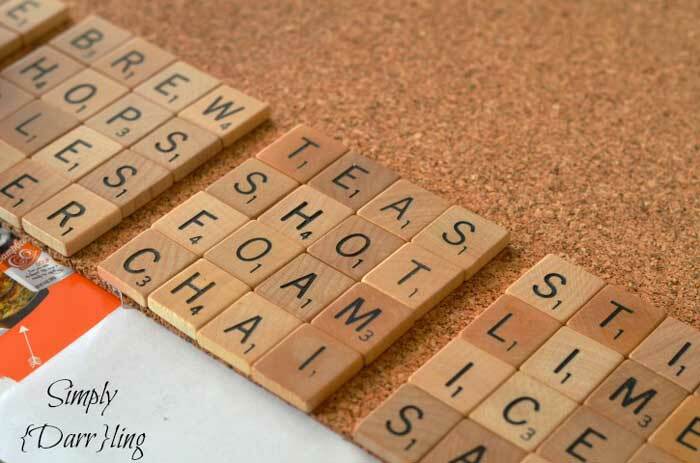 You can get really creative with using Scrabble tiles to make coasters. I love all of the four letter drink words used to make this set. To really personalized these coasters, you could come up with words that fit the person you are giving the coasters to. Create little mini pallets out of popsicle sticks for fun rustic or farmhouse style coasters. 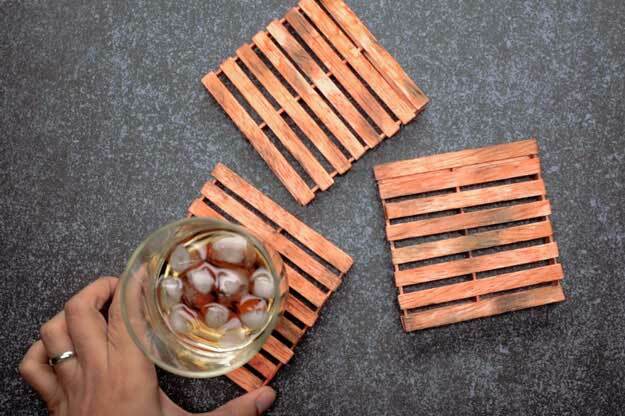 Since pallets are so popular in decorating, these coasters are a good fit for many people. 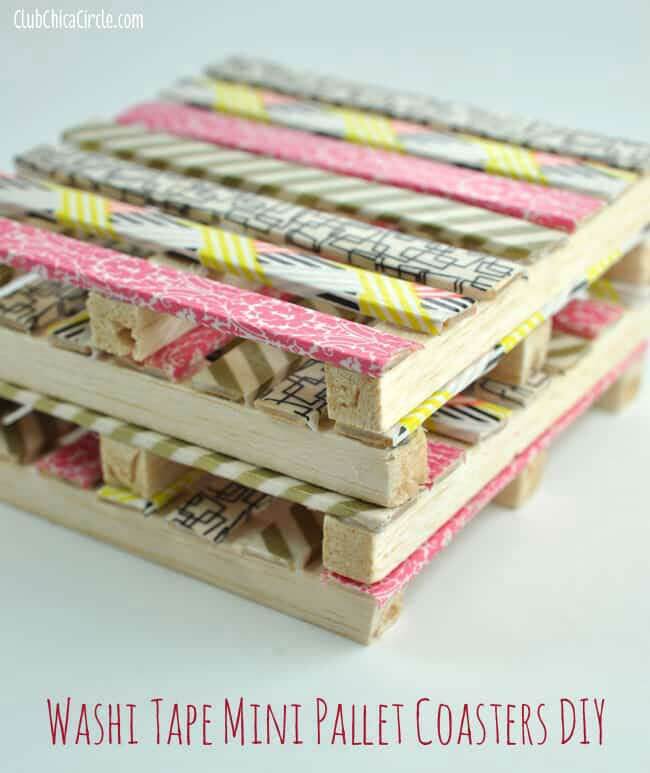 For a more colorful and less rustic look, you could finish off mini pallet coasters with washi tape. There are so many different patterned and solid color washi tapes that you can have a lot of fun creating your own design. 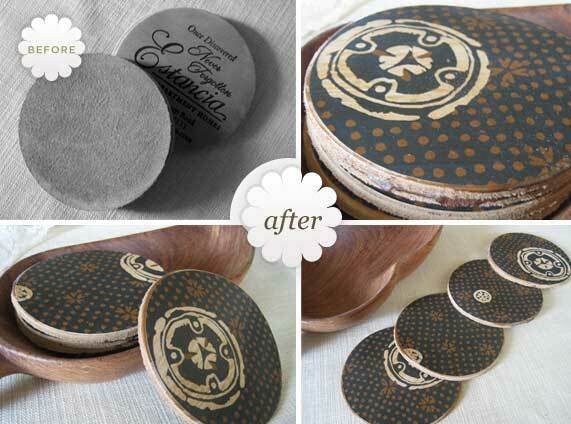 Here is a super cool idea for DIY coasters using washers. The look of winter snowflakes makes them perfect for the holidays or to give as Christmas gifts. 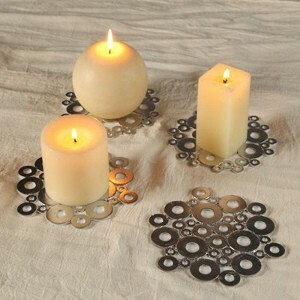 This is pretty to use as either a drink coaster or a candle coaster. What if you get some promotional coasters that you really aren’t interested in setting out in your home? There is no need to throw them out. Instead, cover them up in decorative paper in a style that you like! The decoupaging process keeps them waterproof and stain resistant. 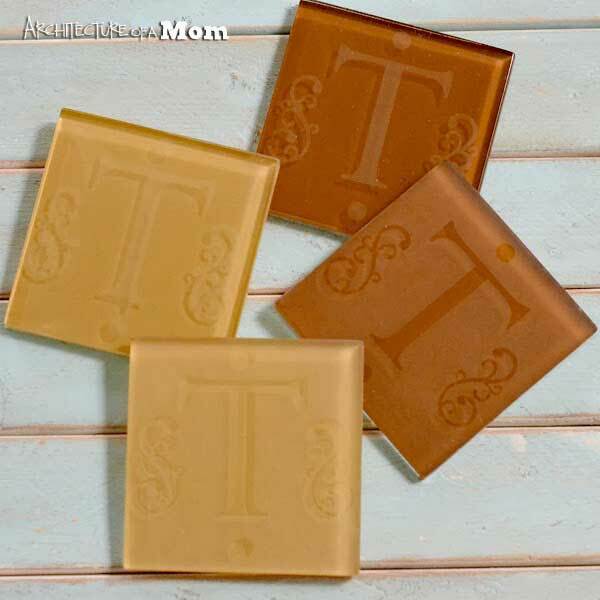 Here is an elegant look for DIY coasters using tile and etched glass. I love the monogram look which would also be a nice personalized gift item. 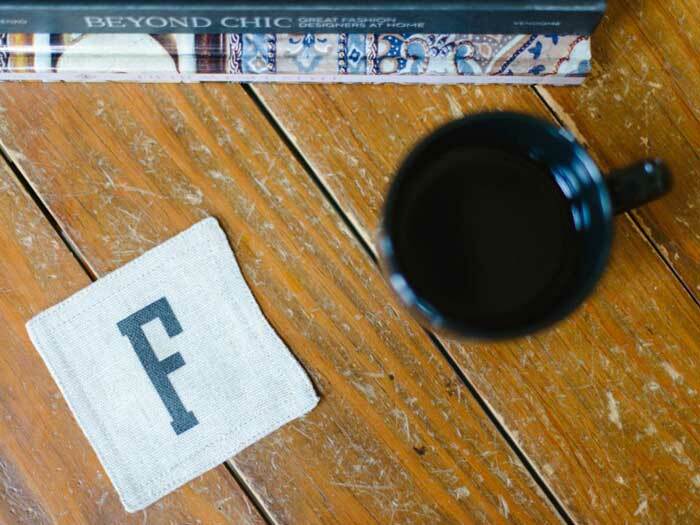 Use up your fabric scraps to make decorative craft coasters. A neutral fabric with a stenciled monogram makes a nice gift. Other fabrics to try would be flannels for a seasonal look or burlap for a rustic or farmhouse style. Great ideas! I love the design of the washers but love your corks bestest because of the absorbtion.